How To Wear Wide Legged Pants Like A Fashion Pro! Skinny jeans might be here to stay, but there’s something about wide legged pants that’s just so stylish. They have a retro chic vibe to them which makes them an absolute fashion must-have!. 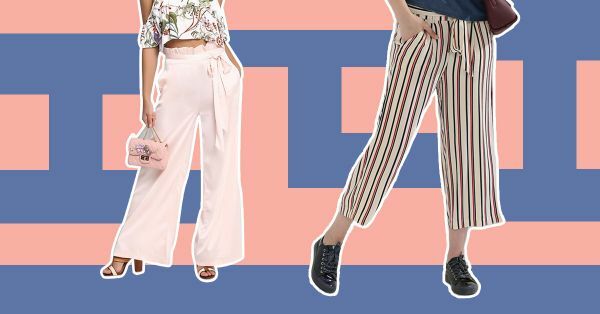 If your wardrobe needs a pair of pants like these, here are 7 best tips to wear wide leg pants like a boss! Neutral colours are never a bad idea! Investing in neutral coloured pants makes styling an easy task. If you haven’t worn wide leg pants before, trying bright colours might be too bold a shift to make. Neutral colours are versatile and can just about go with any top you own! 2. But don’t be scared to experiment! If you don’t want to play it safe with basic colours, then bright coloured pants are the way to go. There’s not much that can go wrong with a pair of wide legged pants in a statement colour. Accessorize it well and team it up with a plain blouse for a fail-safe outfit. 3. Choose a style that suits *you*! When you think of wide legged pants, you automatically imagine it to look like those 70s bell bottoms. Wide leg pants don’t just mean flared pants, they suit equally well as a straight cut or even a boot cut one. Try a couple of pants and see what suits your body before you invest in them. This one’s a no brainer. 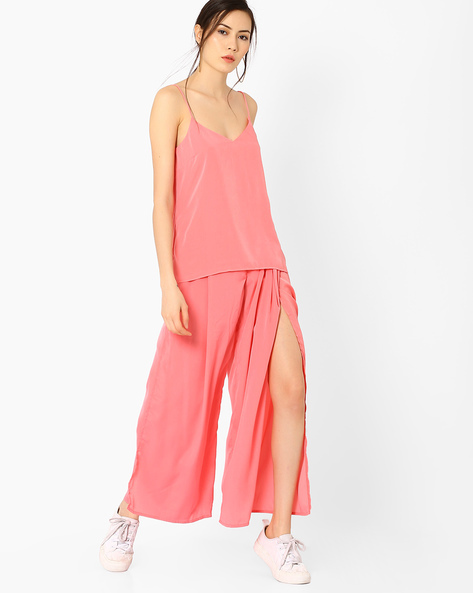 It’s best to avoid pairing your wide legged pants with a baggy top. Balancing the proportions is the first step to a well put together look. Wear a well fitted top with your pants and add a layer (a jacket or a blazer maybe?) to extend the silhouette pattern! When you think wide legged pants, think high waist. High waist styles flatter every body type and most importantly, add height to your look. If you have a slim waist and want to highlight it, there’s no better way to do it! 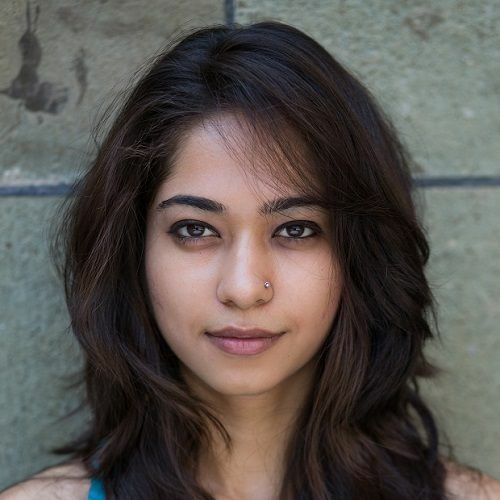 Team it up with a tucked in top, and you’re ready to steal the show! There’s no harm in going monochrome. You can team up your pants with a blazer in the same colour and transform a basic pair of pants into a classy pantsuit. If that seems like a little too risky for you to do, try experimenting with two different shades of the same colour. After all colour blocking is never going out of style, right? Really long wide legged pants often have a very casual vibe. 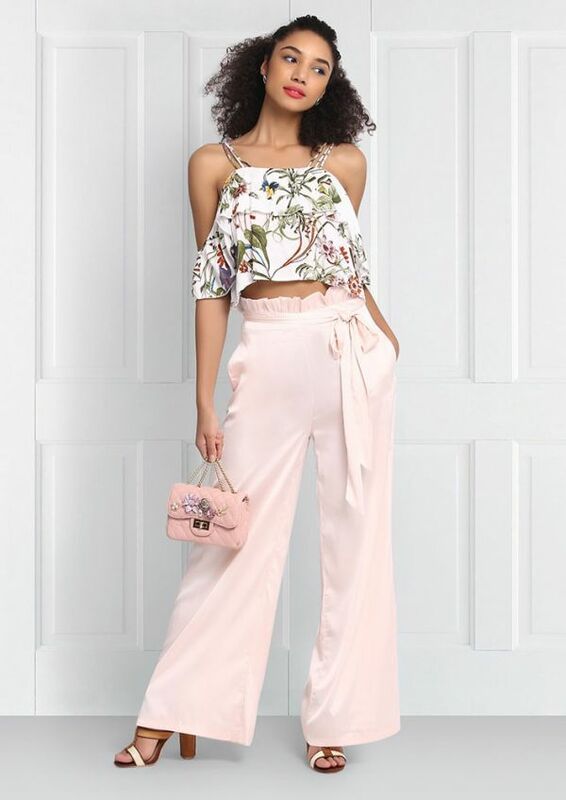 If you’re planning to wear a pair of wide legged pants for a more formal occasion, don’t shy away from trying a pair of cropped pants. But remember that good tailoring is key to get this right! A pair of well tailored cropped pants along with stilettos is the perfect recipe for a chic outfit.